In 1985, Assassination director Masahiro Shinoda declared to journalist Judy Stone: 'What characterizes Japan is the imposition upon the people of absolute power and authority without the right to question and debate. The United States, despite its injustices, has seemed to the Japanese a fresh force and inspiration for those burdened with the weight of authoritarianism'. 20 years after WW2, Japan was going through post-Anpo disillusionment and the whole gamut of political extremism. The time was ripe for searing black and white jidai geki reflecting those times of violence. Great directors like Shinoda, Hideo Gosha, Kenji Misumi, Kihachi Okamoto and Eiichi Kudo all launched themselves into the melee and made razor sharp period films that were heavily tinged with their new-wave personalities. Not all those directors were staunch believers in democracy. Some, like Gosha, were quite defiant, others, like Shinoda, were more confident; they all felt that they had been betrayed by the kokutai system - blind obedience to the Emperor based on samurai ideology - but they could not always adhere to democratic principles which they felt formed merely a new system imposed upon the people. Their jidai geki reveal both their pessimism and faith in the shape of individualistic rebellion against authoritarianism. To top it all, Eiichi Kudo's films sprang from the most improbable source: the Toei Kyoto studio, the realm of entertainment jidai geki for children and the masses. But the sheer strength of films like 13 Assassins, The Great Killing and 11 Samurai, although deemed B action jidai geki at the time of their production, deserves a brand new evaluation in the light of political history. When war broke out, Kudo was too young to be drafted, but while at college, like his future Toei colleague Kinji Fukasaku, he had to perform mandatory work to sustain the war effort. He found himself building, in the company of Korean immigrants, a brand new airport near the port of Tomakomai in Hokkaido. Nobody knows exactly how Kudo felt after this tough period - although he once said that 'it strengthened the sickly kid I once had been' -, nor how Kudo actually felt about the fact that his family, like other samurai or agricultural families, was later labeled by the American occupation forces 'the enemy of democracy', on the grounds that they owned a vast amount of land. According to his future assistant director, Misao Arai (also a director in his own right of a number of eroguro movies at Toei), Eiichi Kudo should have opted for a job worthy of his familial lineage, after law studies at the prestigious Keio University. Instead, to the utter disappointment of his family, he chose theatre and then cinema, areas of work that were rather frowned upon at the time. But Kudo seems to have been a kind of rebel all his life: it is even said that he took part in student demonstrations while at university, and that he was quite the activist. This might explain partly why he was later drawn to the socio-political subject of The Great Killing. After entering the Toei studio in Tokyo, Kudo, as mentioned in Chris D.'s Outlaw Masters of Japanese Film, reluctantly joined their jidai geki branch in Kyoto. According to his collaborators, he viewed his samurai family lineage quite disfavourably and naturally did not feel inclined to become a director of jidai geki - maybe because he did not feel like glorifying the samurai on the big screen, convinced that they had created an unjust social order. But as his brother-in-law Masaaki Ito put it: 'The genre he felt most comfortable with was indeed jidai geki, not gendai geki, modern movies' (Dirty Kudo even ventures to state that Eiichi Kudo never liked yakuza movies very much). Like every young assistant director and director working at Toei Kyoto, Kudo had to hone his skills on goraku jidai geki - entertaining, cookie-cutter sword movies for double-bill distribution. Kudo was assistant to Tadashi Sawashima, a director notable for making period musicals with enka star Misora Hibari. Kudo, accordingly, also made films in this line when he debuted, like Flowers on the Road (Hanakago Dochu, 1961), one of his rare available early jidai geki. The film is fairly amusing but reveals nothing of Kudo's true talent, which had yet to blossom. It is actually very difficult to point out an interesting film among Kudo's early chambara films, but Dirty Kudo singles out Hakko Ryukitai (1961) as an interesting work in which the dramatic emphasis, ironically, was placed more on the baddie than on the hero played by the great star Utaemon Ichikawa. Strict hierarchy was the law of movie studio structures. Roughly, there were 3 distinct ranks delineating the prestige and positions of directors: the A rank belonged to kyosho, or masters, like Akira Kurosawa (Toho), Kenji Mizoguchi (Daiei) or Tomu Uchida (Toei); the B rank was for the artisans of cinema who showed the potential to join the A rank, like Kenji Misumi or Eiichi Kudo himself. The C rank was for pure programme-picture directors, like Toei's Shigehiro Ozawa. The A-rank directors helmed the most prestigious productions of the studios, namely the taisaku mono (major productions), which might be personal movies or commercial movies like Sadatsugu Matsuda's 47 Ronin (Chushingura, 1956). The A-rank directors (and some B-rank directors, too) either belonged to the studios or stemmed from outside - Shochiku's Yasujiro Ozu, for instance, was once hired by Daiei to make Floating Weeds (Ukigusa, 1959). According to Masaaki Ito, Kudo was a B-grade director who had enough ambition to view himself as a true artist, not merely an artisan. This will remind Midnight Eye readers of the debate about Kenji Misumi's author status which was put forward by Japanese critics in the 1960s, since he was deemed the only director to show carnage with such an aesthetic sense. So, does Kudo actually deserve the title of artist, in the realm of mass production and codified movie-making? For younger directors like Kudo, the opportunity to show their mettle came with the decline of that founding genre of Japanese cinema, the jidai geki. This forced the studios to rejuvenate the genre and make it more violent and realistic to fit the times of social anarchy. The year 1960, for instance, was the year Inejiro Asanuma, leading figure of the socialist party, was assassinated by a right-wing extremist, in front of TV cameras. It might be said that, to some extent, the extreme brutality of this murder set the tone for some of the most realistic jidai geki produced in the 1960s - not so much Akira Kurosawa's Sanjuro (Tsubaki Sanjuro, 1962), which, despite its anti-violence message, remains quite playful, as films like The Executioners (Bakumatsu Zankoku Monogatari, 1964) by Tai Kato or Kudo's The Great Killing. Those black and white films are also partly in the line of the zankoku - or cruel - jidaimono of the 1960s, in literature and movies, a line of works exemplified by the novel Todaiki by Norio Nanjo in 1956 (Norio Nanjo also penned Tadashi Imai's Bushido: Samurai Saga / Bushido Zankoku Monogatari in 1963). Todaiki is a novel about a mangled samurai abandoned in latrines. It is a very dark novel much appreciated by filmmakers including Kenji Misumi. The decline of the mass-produced goraku (entertainment) jidai geki coincided with the career end of big pre-war stars of the genre like Utaemon Ichikawa and Chiezo Kataoka. What happened was that, like in the pre-war period, the jidai geki films became increasingly realistic and poignant in their content and messages. The camera became free from theatrical forms again while the message about the cruelties of the samurai society was more adamant. Masahiro Shinoda once commented that he felt the need to 'do away with the nonchalant flippancy with which Toei jidai geki explored the historical background of the Edo era', and set out to show how the bakufu period reflected the excesses of modern Japanese society. Eiichi Kudo set out to break the Toei mould from within in three major films: 13 Assassins (Jusannin no Shikaku, 1963), The Great Killing (Daisatsujin, 1964) and 11 Samurai (Juichinin no Samurai, 1966). These were all filmed in black and white, while their stories functioned as mirrors to the hot topics of the 1960s: rebellion and political assassination. 13 Assassins was a kind of reworking of Akira Kurosawa's Seven Samurai. The film was even deemed by the movie press of the time to be a pale copy of Kurosawa's masterpiece. On the minus side, it ought to be reckoned that 13 Assassins feels too much like a transitional film, meaning that Kudo had not yet fully developed his own realistic style; all the more so as the production was backed by the great star Chiezo Kataoka, who was then a member of the Toei administration board. Chiezo Kataoka's role in the film, that of a sacrificial, heroic samurai, is probably what makes the film more traditional than daring in form and content. Now, on the plus side, it should be stated that Kudo - and scriptwriter Kanao Ikegami - brought a different perspective to the Seven Samurai story; whereas Kurosawa's film pitted lowly samurai against each other for the benefit of a despised class - namely, the peasantry -, Kudo's film sees samurai fight merely among each for the benefit of samurai society - the bakuhan. In a way, Kudo's film is darker than Kurosawa's as it describes a corrupt world fostering unrewarding violence. In The Great Killing, Kudo took more liberty and replaced the high rank samurai of 13 Assassins with characters of a condition more suited to his social conscience: poor, marginalized samurai, whom he might have looked on as the students of the conflicted 1960s. Although Kudo has stated very clearly that his masterpiece The Great Killing was a reworking, under the guise of jidai geki, of events surrounding the student movements, his assistant director Misao Arai has to admit that he never heard words to this extent from Kudo himself, since the director never voiced his political opinions. However, Dirty Kudo's book reveals one key element about the postproduction of the movie: the fact that Eiichi Kudo inserted in the sound tracks of the frenzied melee sequence a recording of student demonstrations against the ANPO treaty, thus revealing his empathy with the student movements. Misao Arai also reveals that scriptwriter Kanao Ikegami did synthesize in the script Eiichi Kudo's aspirations for rebellion against corrupt authorities. This revelation would seem to imply that The Great Killing is the triumphant expression of Kudo's ideals. But the three films are far from that; their revenge plots lead merely to chaos and despair. There is no triumph in killing. Moreover, the great killing of the film will not change much about the social order. As Dirty Kudo puts it, 'the movie shows but mangy dogs nibbling at the political system'. The pessimistic view of violence, once again, makes The Great Killing more than just another swordplay movie. It is also a nouvelle vague film with a political and moral bias. It may be seen both as a metaphor of student activism but also as the moral stance of a director who stemmed directly from samurai lineage and saw violence as the twilight of enlightenment. 11 Samurai, as Arai put it, 'shows human beings dazed and alienated by their own violence in a metaphorical environment'. But the three films also follow a commercial formula along the lines of the traditional Chushingura / 47 Ronin story, especially the third film, 11 Samurai, about a violent vendetta in the midst of existential uncertainty. The end of the 1960s saw the continuing decline of the jidai geki genre, including the nouvelle vague chanbara which briefly rejuvenated the genre. Kudo did not want to resort to making eroguro and did not like yakuza movies very much. He found a kind of refuge in TV . The major studios were grudgingly forced to turn to TV production, and Kudo was the first Toei Kyoto director assigned the helming duties for a jidai geki TV series. He initially tried his hand at Sengoku Mushuku (No Place to Rest in a Warring Nation), a 13-episode failure, and found his breakthrough with the little seen Shokin no Kasegi, starring Tomisaburo Wakayama, and Professional Killers (Hissatsu Shikakenin, 1972 onward). This last series, which chronicled the gruesome adventures of three anti-heroes with no faith whatsoever in the social order, featured something that Kudo would take up again in the 1980 feature film Shadow Warriors (Kage no Gundan: Hattori Hanzo, 1980): that is, anachronisms with a parodic edge, complete with modern hairstyles and motorcycles. In Shadow Warriors, Kudo showed ninjas fighting against their enemies in the guise of American football players! These minor originalities do reveal one of Kudo's talents: his ability to renovate the visual forms of jidai geki. He was one of the first - and maybe also the first - to introduce a lot of hand-held camera in Toei's chanbara, as can be seen in The Great Killing. This hand-held camerawork may have served to evoke the TV coverage of streets demonstrations in the 1960s. Kudo also appropriated the low-angle approach of his director friend Tai Kato and, according to Misao Arai, 'used it even more effectively than Kato'. He also tried to bring a twist to traditional jidai geki framings and compositions. Dirty Kudo reveals how Kudo derived inspiration from Toei's kyosho Tomu Uchida, the director of A Bloody Spear at Mount Fuji (1955). 'In The Kuroda Affair (Kuroda Sodo, 1956),' he explains, 'there is a notable reunion scene between samurai where Uchida placed the top rank samurai not at the center but in one corner of the room. This original composition made Kudo realize that he could try out new visual approaches in his jidai geki films'. Another Japanese critic and film historian noted that Kudo took a decisive counter-approach to TV filming. 'Generally, TV jidai geki were much more brightly lit than their film counterparts. But Kudo liked shadows very much. Here and there, he would place his actors in shadows and hide their faces'. Kudo was also, like his colleague Kenji Misumi at Daiei (they knew each other during the filming of the TV series Professional Killers), one of the first directors to film actors without the traditional white make-up. In past black and white films, the faces of the actors had to be whiter than the backgrounds, so for this purpose their faces would be thickly whitened. Misumi and Kudo both disliked this and aimed at more realism at around the same time, circa 1959. The very first director to do away with make-up at Toei was pioneer Tai Kato, in 1958. Kudo swiftly followed his example. He would continue to explore and advance his particular trend towards more realism in the set department, making ordinary samurai interiors much dirtier than they ever were in Toei films. As the sixties drew to an end, Kudo also turned an eye to gekiga (adult manga) and was indeed influenced by its peculiar brand of realism, violence and criticism. Dirty Kudo notes that, for instance, he liked the ground-breaking jidaimono manga by Sampei Shirato, creator of Manual of Ninja Martial Arts (Ninja Bugeicho). The ending of 11 Samurai sees one of the avenging samurai, in true Chushingura fashion, complete their katakiuchi (vendetta) by cutting off the head of their enemy. This true-to-history fashion might be viewed as Kudo's acknowledgement of gekiga's popularity. As to the bizarre kamikaze ways by which some of the samurai blow themselves up to take a higher toll from enemy ranks, Misao Arai sees it as Kudo's jidai geki forebodings of Japanese terrorist and guerrilla activities in the 1970s. This being said, the falsely triumphant ending of the film, which leaves no doubt about the director's pessimism, closes off the trilogy on a perfectly homogeneous note of meaninglessness and suffering in the mists and mud of oblivion. The conflicted sixties were a Golden Age for a few directors, who renovated an oft-criticized genre thriving on nostalgia and clear-cut depictions of the samurai tate-shakai (vertical society). In Japan, their films were either hailed as groundbreaking works or criticized as 'bastardized' productions tarnishing the jidaimono tradition with impure blood. Very often, those films would be reevaluated from 10 to 30 years after their release, as avant-garde or underground gems. Although Hideo Gosha's delightful Samurai Wolf (Kiba Okaminosuke) movies and his potent reworking of Tange Sazen (1966) were produced by Toei, the most commercially and critically successful films at the time were Kudo's 'action jidai geki', as they were labelled. Those films, parallel with the taisaku mono (prestige productions) helmed by Tadashi Imai, signified, like in the heavily politicized 1920s and 1930s, the introduction of more realism and social conscience into the sanitized and kabuki-esque jidai geki productions stemming from the Kyoto movie studios, together with more experimental visuals (Keisuke Kinoshita's absolutely masterful River Fuefuki / Fuefukigawa was both very realistic in feel and remarkably experimental). Following in the wake of veteran Daisuke Ito, who made the formidable Conspirator (Hangyakuji) in 1961, younger directors Tai Kato and Eiichi Kudo emulated each other with aggressive 'guerrilla' filmmaking, giving birth to masterpieces such as The Executioners and The Great Killing. No longer nostalgic, those bloody epics are mirrors of the turmoil that agitates Japanese postwar society, and moral vehicles that often root for the underdogs of the new postwar social order in which more and more people felt marginalized. Those films were produced with the full backing of the Toei studio, and also signified a change of pace: as production of jidai geki dwindled, these films could take longer to shoot and allowed the directors to polish both their scripts and visuals more noticeably, until the genre was replaced by yakuza and eroguro films. 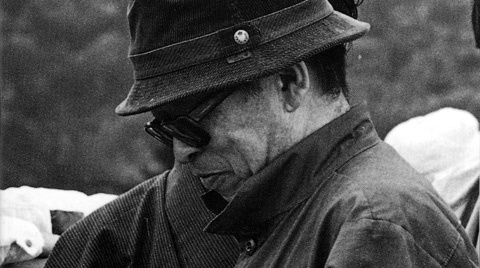 Moreover, much credit should be given to the fact that Kudo's films distill rather than expose their contemporary political subtexts; conversely, when Nagisa Oshima made The Revolutionary for Toei in 1961, his overt ideological intentions stiffened his treatment of jidai geki and went down badly with the producers and the public.